Centrality of Traumatic Events: Double Edged Sword or Matter of Valence? Event centrality, as measured by the Centrality of Event Scale (CES), refers to the degree to which a salient traumatic memory becomes central to individual identity. 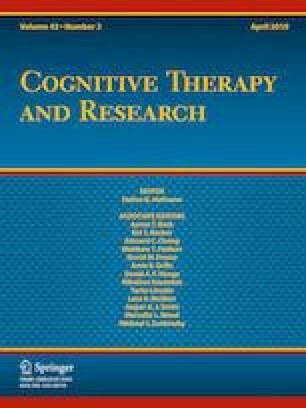 The current investigation modified the CES to capture valence (positive vs. negative) of event centrality (i.e., CES-V) and determine whether the valence of event centrality for traumatic events differentially relates to trauma responses (i.e., posttraumatic stress disorder [PTSD], posttraumatic growth [PTG]). Trauma-exposed community members (n = 512) completed measures of trauma experiences, PTSD, PTG, and the CES-V. Exploratory factor analysis supported the use of the CES-V. Trauma outcome response profiles were compared between event centrality valence group (i.e., central-positive, not central, central-negative) and factors influencing event centrality valence were explored. Most participants appraised their trauma as central and positive (54.7%), while others appraised their trauma as central and negative (32.8%) or not central (12.5%). Central-positive event centrality ratings were positively related to PTG and inversely related to PTSD, whereas central-negative event centrality ratings were positively related to PTSD and inversely related to PTG. The central-positive group reported the most PTG, and the central-negative group reported the most PTSD. Future research should explore the clinical utility of using event centrality valence to predict trauma responses and track treatment progress. The online version of this article ( https://doi.org/10.1007/s10608-018-9983-9) contains supplementary material, which is available to authorized users. This work was supported by the Canadian Institutes of Health Research [Grant Numbers 357489, 131150, 131152, 285489]. Michelle J. N. Teale Sapach, Samantha C. Horswill, Holly A. Parkerson, Gordon J. G. Asmundson and R. Nicholas Carleton declare that they have no conflict of interest. The current research was reviewed and approved by the University of Regina Research Ethics Board (File # 11S1314). All procedures were in accordance with the ethical standards of the institutional research committee and with the 1964 Helsinki declaration and its later amendments or comparable ethical standards. Costello, A. B., & Osborne, J. W. (2005). Best practices in exploratory factor analysis: Four recommendations for getting the most from your analysis. Practical assessment, research and evaluation, 10(7), 1–9. Retrieved from http://pareonline.net/pdf/v10n7.pdf. Substance Abuse and Mental Health Services Administration [SAMHSA]. (2014). Trauma-informed care in behavioral health services, treatment improvement protocol (TIP) series 57. HH. Retrieved from http://store.samhsa.gov/shin/content/SMA14-4816/SMA14-4816.pdf. Weathers, F. W., Blake, D. D., Schnurr, P. P., Kaloupek, D. G., Marx, B. P., & Keane, T. M. (2013). The life events checklist for DSM-5 (LEC-5). Instrument available from the National Center for PTSD. https://doi.org/10.1177/1073191104269954. Weathers, F. W., Litz, B. T., Keane, T. M., Palmieri, P. A., Marx, B. P., & Schnurr, P. P. (2013). The PTSD checklist for DSM-5 (PCL-5). Scale availabile from the National Center for PTSD. https://doi.org/10.1037/T02622-000.